Wader Quest: Series of talks to 220 Brazilian schoolchildren. Series of talks to 220 Brazilian schoolchildren. It can be difficult to get children that live over 500km from the nearest coastline to connect with waders and shorebirds! It is however rewarding when they realise that the loud and raucous Southern Lapwings on their local football field are also waders. They also were intrigued to find that we ventured still further into the interior of Brazil in search of the Pied Lapwing. The fact that we had visited the capital of their country was equally as intriguing as none of them had ever been there! 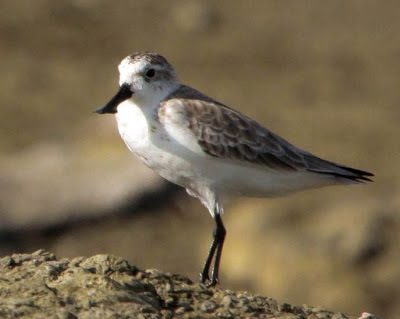 Making the comparison with the number of children in the school with the number of individual Spoon-billed Sandpipers left in the wild also made them stop and think a little. As with audiences everywhere, of all ages, they really enjoyed the story about 'Rocky' the Piping Plover trying to hatch egg shaped stones. We had time to talk a little too about the diversity of waders and the different feeding techniques that utilise such a wide variety of bill shapes, including our beloved spoon-shaped ones. Sadly we only had one day available and only spoke to about a fifth of the students at the school, perhaps one day we will get the chance to return and talk to the rest. The school is called Colégio Bento Gonçalves, in a small town in Minas Gerais. The staff there are quite conservation minded and there were numerous posters around the school on the theme. This on particularly struck me. Will man realise that he can't eat money. We won't have been able to reach the hearts and minds of all these children who face a difficult future in a developing country, but if just one or two realise the possibilities and pleasures to be had from a lifelong interest in birds and natural history in general, then all the effort will have been worth it. 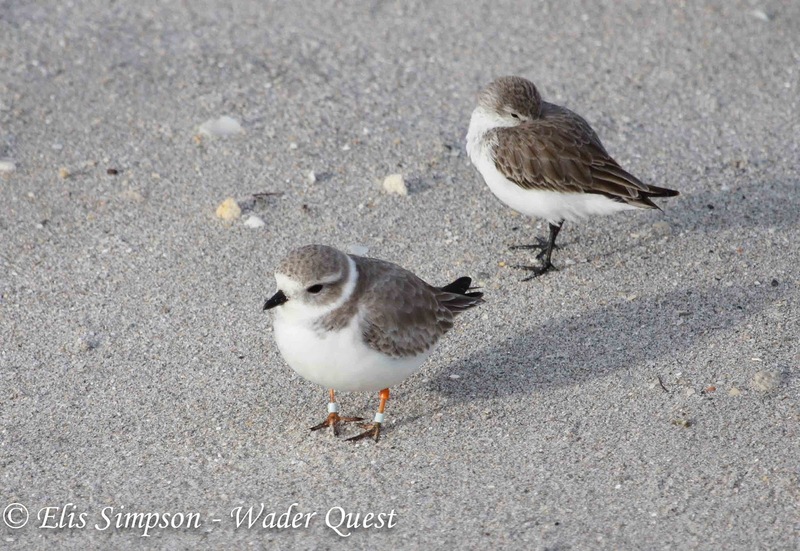 Either way, as far as Wader Quest is concerned it was worth trying, and we will continue to do so as long as we can. Part of the Wader Quest fan club! Our 11 year old niece Mykaela was one of the students who attended the talks and she, like all the others had to write what they thought about what they had heard. We hope to be able to show you some of them at a later date (if they are not too rude about us!) but for now here is what she wrote, which we found rather touching. Elis and Rick Simpson my aunt and uncle. The talk was about extinction of animals (birds). I`m really proud to have such an uncle, because a life without this inoffensive little bird wouldn't be life, I think the work they are doing is very important, so: long live the birds!